Dyeing Yarn Naturally with Herbs! I've been taking a 4 month long class all about herbs! Its been amazing and this week we had to present our final project. 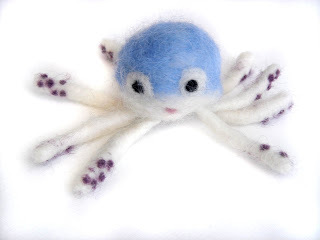 Of course, i had to incorporate fiber, so i experimented with dyeing yarn naturally with herbs. The results were soo cute! 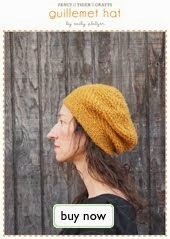 Lots of luscious natural colors - all on wool yarn. I used dandelions, eucalyptus, elderberries, comfrey, nettles, hawthorn berries and madder. The dandelions and nettles were used fresh - the rest were dried, only the madder was a dye extract (you can see the difference!) It took a lot of herbs and time to achieve color - the dandelion one was done 3 times!! All of the yarns were mordanted with alum - the safest and least toxic mordant. These special skeins will be available at Fancy Tiger for a limited time. Enjoy!! 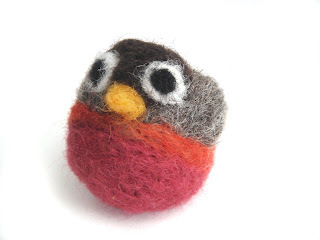 New Needlefelting Kits! 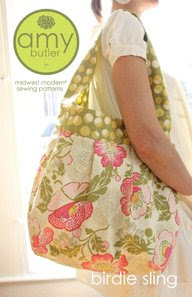 New Amy Butler patterns! 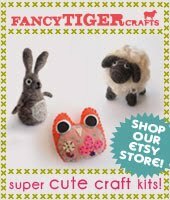 We have three new Fancy Tiger needle felting kits available! 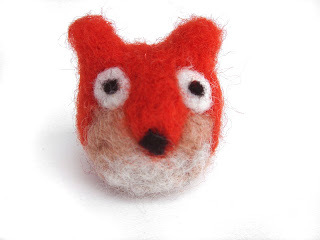 Now you can make a Robin Ball, Fox Ball, and Octopus Ball! You can buy them at Fancy Tiger, or here, if you live far away! We also just received an order of Amy Butler patterns which includes the new and adorable Birdie Sling bag and a laptop case pattern! 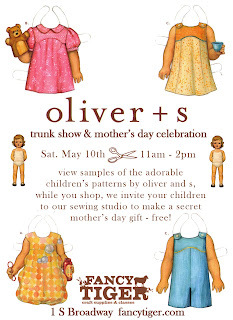 Oliver and S Trunk Show and Mother's Day Celebration! 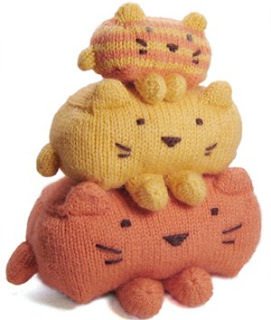 Stop by Fancy Tiger Crafts this Saturday, May 10th from 12 - 3pm for an Oliver and S Trunk Show and free sewing projects for kids. There will be samples sewn up of the adorable babies and kids patterns from Oliver and S - done up in the neutral palette of Micheal Miller Organics fabrics. While you shop upstairs, we invite your kids to our sewing studio in the basement to make a secret sewn Mother's Day Gift - Free! 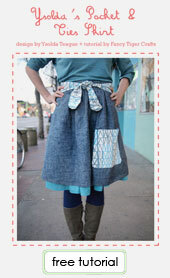 Save 15% on all Oliver and S patterns and Michael Miller organics fabrics. 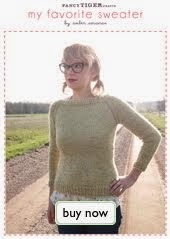 We've got lots of new knitting patterns in from Zephyr Style and Mochimochiland! 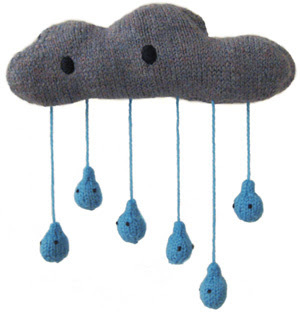 Choose from knitting super-hot sweaters, tanks and cardigans, OR irresistible and weird toys!